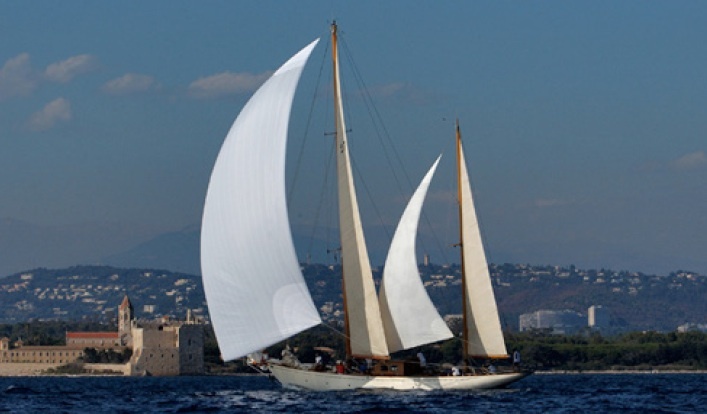 The first of what became known as the Maica class was commissioned by French yachtsman Henri Rouault who had admired John Illingworth’s earlier successful racer Belmore and asked for a smaller version. She was built by Burnes of Bosham and launched over Easter of 1960. 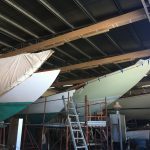 At the suggestion of Rouault’s sister, a nun, the boat was named after her convent’s former Mother Superior, a decorated heroine of the French wartime resistance, who was known by the nickname Maic. The original Maica, like the Belmore design, had a transom stern. 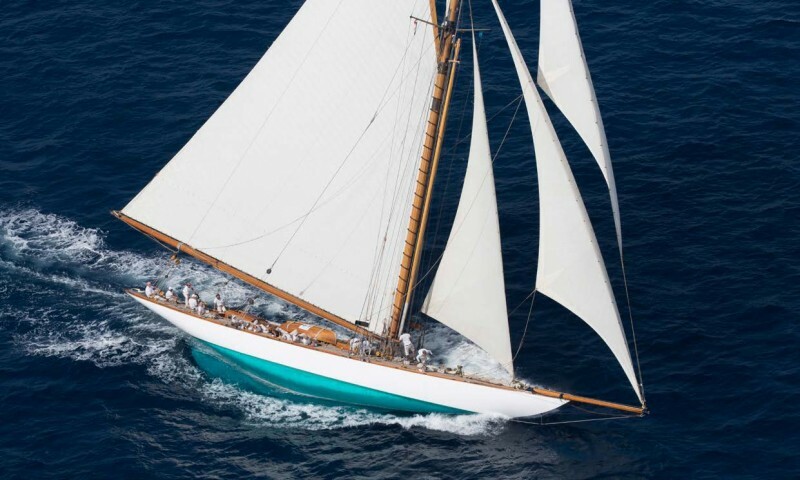 She was so admired and so successful, winning the RORC Class III championship in 1962, that soon further examples were built in Britain and in France, but when Illingworth sold the plans for the Maica to Constructions Mecaniques de Normandie (CMN) at Cherbourg, Felix Amiot, the owner of the yard, insisted that the design should be modified with a counter stem. Apparently this was because M. Amiot wanted a Maica for his own personal use and he preferred the elegant look of a counter stern. So Illingworth and Primrose produced plans for a Maica vote (counter stern) and in 1963 CMN started to build this version employing a novel method of construction that made series production viable – cold moulded mahogany. A first lightweight layer of 1cm planks was laid longitudinally over formers, then two diagonal layers, each 4cm thick, at right angles to each other. 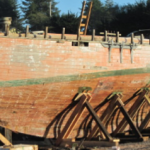 When the glue had cured the hull was simply lifted off the formers and turned right way up for decking and fitting out. 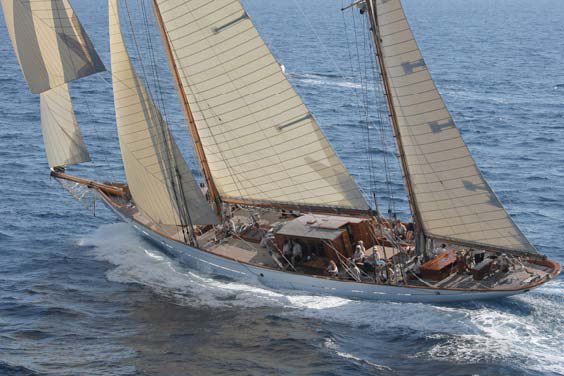 CMN built 38 Maica class yachts, about half of which are known to be still sailing and in superb condition. The CMN Maicas were mostly sold to French clients, (one was ordered by the Greek ambassasor to Paris), but many went to customers from Britain and other countries. 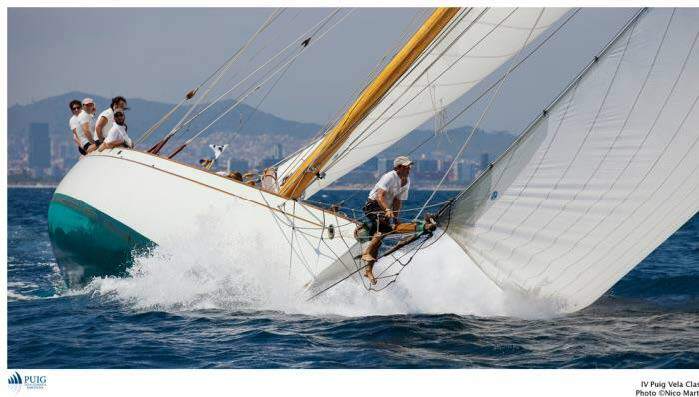 Some of these boats were among the most famous offshore racers of their day – and many were scoring notable wins even ten years after the introduction of the class. 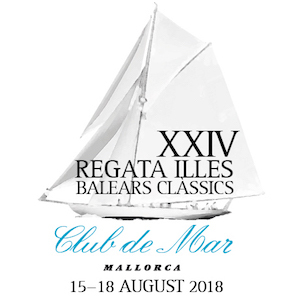 With so many international racing successes and long voyages, the class also made a name for itself in Mediterranean waters and it was not long before a couple of Italian yards obtained licences to build slightly modified versions. One Italian version, of which it is believed over a hundred examples were built, was in GRP with a modified fin keel and skeg underwater profile. LWL m / ft: 7.5m / 24'6"
Draught m / ft: 1.77m / 5'10"